First Lady Michelle Obama visited Chicago today to address the city's rampant gun violence. Mrs. Obama played the role of policy ambassador for her husband President Obama. 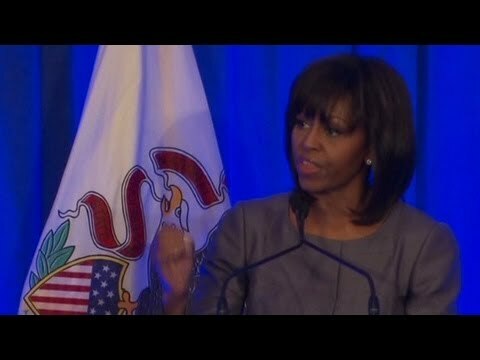 In her short speech, stressed the importance of gun control legislation at an event in Chicago. Mrs. Obama attended the funeral of 15 year-old Hadiya Pendleton earlier this year.